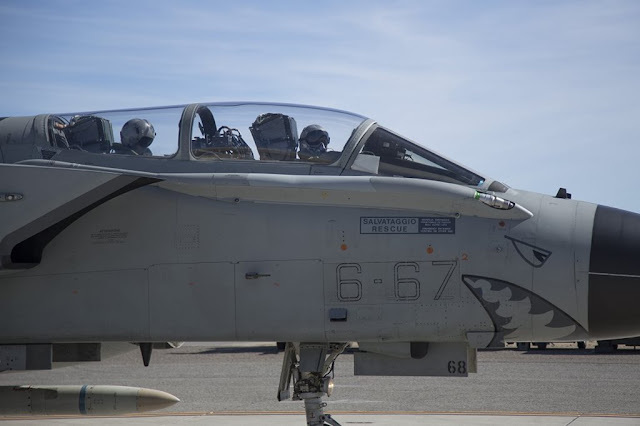 An Italian Tornado ECR fired the missile at the China Lake shooting range, USA. Italian Air Force tests the AARGM missile for the first time. On April 2, an Italian Tornado ECR aircraft flew by a Test Crew assigned to the Naval Air Weapons Station (NAWS) China Lake, Calif., successfully fired the first Italian AARGM (Advanced Anti Radiation Guided Missile). The aircraft completed the first of two launches planned during the exercise Blazing Shield 2018. 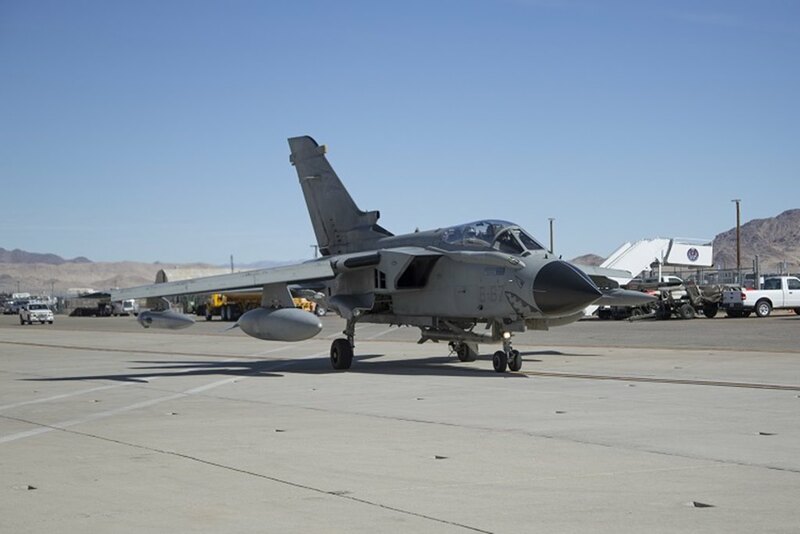 The Tornado's missile test marked one of the main events in the OT&E Campaign (Operational Testing & Evaluation) currently underway in the NAWS. The Italian Air Force personnel managed all the phases related to the launch of the missile from the China Lake Range Control Center. The AGM-88E AARGM missile is a medium-range antiradar missile used for SEAD (Suppression of Enemy Air Defense) missions. It was developed thanks to a cooperation between ItAF and US Navy and represents the highest evolution of the anti-radar armament existing in the NATO forces to date. Although it is a U.S. product, Italian industries have participated in its manufacture. Blazing Shield 2018, in addition to the OT&E AARGM, aims to validate the tactical-operative procedures relating to the self-protection of the Italian Eurofighter Typhoon and C27J Spartan aircraft. The ItAF aircraft have already done more than 200 sorties and over 600 flight hours. 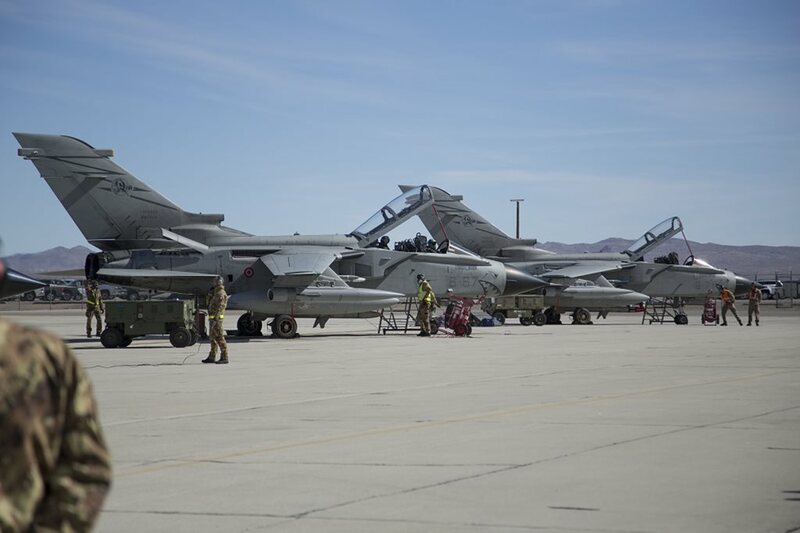 It confirms the great daily work of the Italian Air Force personnel deployed in China Lake.